2024 aluminum alloy plate aluminum - copper - magnesium lines typical of the hard alloy, its composition is more reasonable, better overall performance. Is the largest amount of hard aluminum. The alloy is characterized by: high strength, a certain degree of heat resistance, can be used as working parts below 150 ℃. 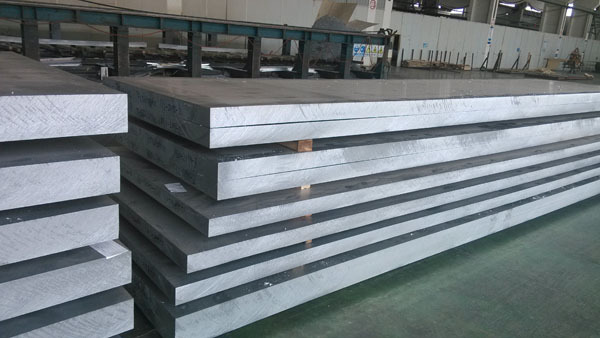 2024 aluminum plate is a high strength aluminum alloy with higher strength than 2011, with adequate work ability. With its high strength and excellent fatigue resistance, it is used to advantage on parts and structures where a good strength-to-weight ratio is desired. 2024 Aluminum Plate is commonly used for structural components, couplings, hydraulic valve bodies, fuse parts, gears and shafts, worm gears, pistons, rectifier parts, missile parts, munitions, fasteners, cap nuts, bolts, hardware, truck wheels, transportation industry parts, computer parts, clock parts, veterinary and orthopedic equipment, and commonly in the aircraft industry for aircraft fittings, fuselage structurals, wing tension members, shear webs and ribs and structural areas where stiffness, fatigue performance and good strength-to-weight ratio is required..
Why The Shape Is Not Same Of Aluminum Checker Sheet ? Haomei Aluminum Plate-We would like to highlight our aluminum plate,aluminum alloy plate 5083 aluminum plate,7075 t6 aluminum plate,aluminum 6061 plate,5086 aluminum plate,marine aluminum plate and aluminum mold plate with good quality and competitive price.we offers a wide range of aluminum Plate alloys for various applications.